LIVE UNDER THE SUNNY, COAL-FREE SKIES OF LAS CRUCES! 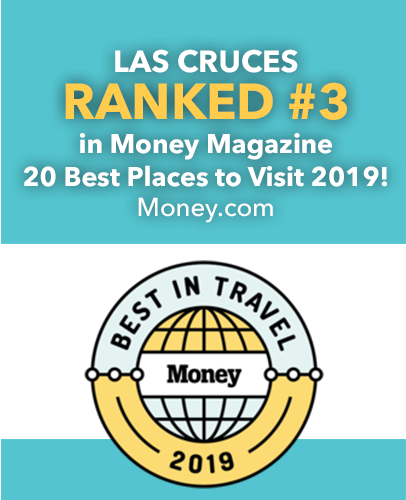 Over the past 15 years, Las Cruces, New Mexico, has been consistently ranked as one of the best places to retire in the U.S. As one of the best places to live, work, and retire in the Southwest, this culturally rich city offers it residents a very unique living experience with over 340 days of sunshine. 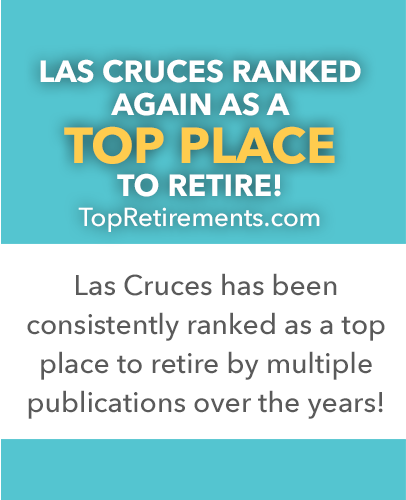 It’s no wonder why more people are choosing to retire in Las Cruces! Located in southern New Mexico in the heart of the Organ Mountain – Desert Peaks National Monument, living at the base of the Organ Mountains is nothing short of spectacular. Protected monument lands filled with abundant wildlife like a wide variety of migratory birds, eagles, hawks, and deer surround Las Cruces. 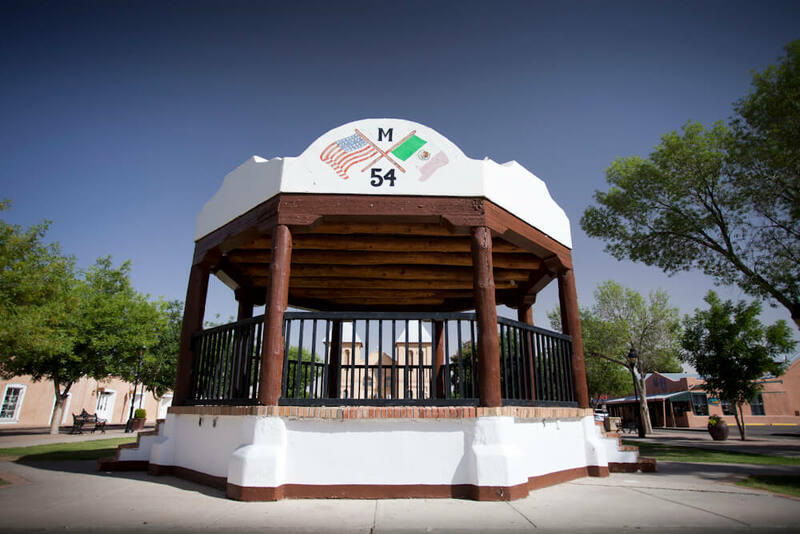 The area is especially rich with Western history, including the Plaza at Old Mesilla where legendary Old West Sheriff Pat Garrett worked to protect the territory from outlaws like Billy The Kid. Stagecoaches stopped on their long journey across the Butterfield Trail on their way to San Francisco. The ruins of historic Fort Selden are nearby on the banks of the Rio Grande River, giving visitors a glimpse into an historic U.S Calvary fort. The Prehistoric Trackways National Monument and White Sands National Monument also contribute to the area’s unique geography and history. Las Cruces is a vital hub for agriculture, and the Mesilla Valley is famous for having the world’s best Mexican food, the largest Farmers Market in the U.S., and great opportunities for golf, hiking, horseback riding, mountain biking, camping, and wildlife viewing and photography. Its laid-back, affordable, outdoor-friendly living makes Las Cruces a top city for retirement living! Click here for a list of Las Cruces Rankings.